We declare God is establishing new networks across the nations, networks of Governments, networks of trade, and networks of individuals, connected to carry Kingdom purpose for this season ahead. We repent where any previous networks have been based on ungodly desires, whether of greed or of power. We acknowledge You as the Alpha and Omega who rules over the nations in love, wisdom and truth, You are the potter and we put our trust in You. Now, we stand as Your Ekklesia, irrespective of personal choice, and we declare in this day, Your purpose, Your wisdom and Your values will mark out and build a fresh design, that the United Kingdom will be shaped, positioned and connected for Your destiny. Now, we thank You for our Godly heritage and declare it will be recovered, restored and connected to Your future purpose for this nation, in Jesus Name. We decree and declare in this season, the United Kingdom will step into God given identity, purpose and calling. Twelve Declarations to Shape a Nation. We speak to this nation, and we declare, “Your Kingdom come, Your will be done, on earth as it is in Heaven.” We decree Your people in this nation will come into agreement with Your word, “to seek first the Kingdom of God” both in prayer and in lifestyle. We declare Your people will arise as kings and priests and the worshipping warriors will arise; that we will come before the courts and throne of Heaven to intercede for this land, that we will receive strategies to cut through and we will take hold of Your Rhema word, which is the sword of the Spirit, to decree and declare Your purposes. You are establishing Your Kingdom to overwhelm and overcome every opposing Kingdom, You are setting things in order, setting up Your governmental rule on the earth as it is in Heaven. In Jesus Name we decree and declare, in this nation, Natural Government and Sovereignty, judicial and legislative will come into God given order, and will acknowledge Jesus as the true judge, lawgiver and King. Even as Paul debated with those of different faith and values, we decree and declare in this nation, from schools & universities, to communities, social groups, religious groups and culture groups – freedom of speech, the freedom to debate, the freedom to choose, and the freedom to agree or to disagree will be valued and protected, only limited and balanced by respect for others. We decree and declare those God given freedoms over every aspect relating to sexuality and identity. Lord You desire all children and young people will be loved, protected and valued, trained by Your word and Your principles, and released into promise and potential. We declare in this nation, the God given uniqueness, You have put within children will be recognised and encouraged, irrespective of background, religion or ethnicity, that they will grow strong and secure in their God given Identity. We declare You are raising a generation who know their true identity in You, who carry Your heart, Your life and Kingdom values. We thank You for our Godly heritage and declare it will be recovered, restored and connected to Your future purpose for this nation. 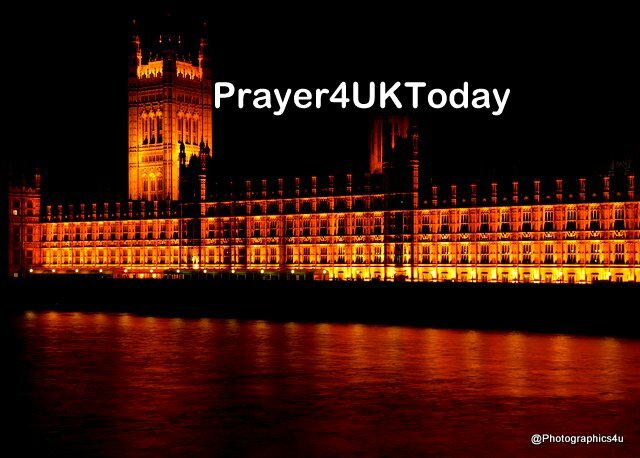 Now Lord, we decree and declare the Name of Jesus will be exalted, the sovereign purpose for the UK fulfilled and this nation step in to God given identity. NB: some people have been asking if we have any more of the “Declarations over Brexit” books. Unfortunately these are now out of print but most of the Declarations are available on our website under “Government”.